In this part of the project we are simulating a piston with Inspire Motion. This video will help you do a multibody simulation of the bike piston crank assembly. 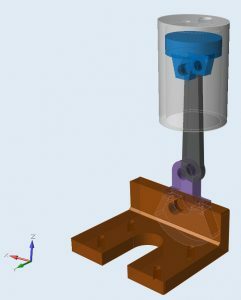 The piston is simulated at a prescribed angular velocity to study the piston motion and various parameters are plotted for further understanding of the motion. Loads can be extracted for structural analysis and optimization using sT Inspire Motion.